The New Forest National Park in Hampshire is a brilliant place to go for short breaks or a day trip. There are so many things to see and do in this historic area, so here are some fun facts and a few activities to try if you’re heading down for a visit. The forest spans 219 square miles, only half of which is wooded. It’s been there for nearly 1000 years and covers 42 kilometres of coastline. In 1079, William the Conqueror declared the New Forest his hunting ground. The expanse of woods and greenery has remained largely unchanged in nearly 1000 years and the land is still looked after by verderers (judges), agisters (stockmen), and commoners (land users) in a system he created. There are around 3000 wild ponies roaming free throughout the park. Although they are free to do what they wish, they are owned by the commoners of the forest. 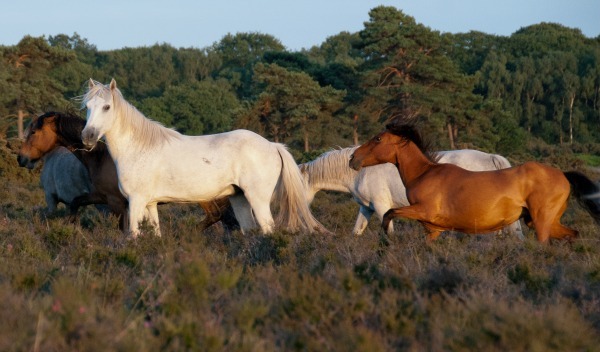 The ponies are beautiful to observe and photograph, but be wary of approaching them as they might kick and bite. Feeding them is actually against the law, so don’t be tempted, even if they look hungry. New Forest has a few places with names that might make you giggle. Here are some of our favourites – Pig Bush, Sandy Balls and the nearby Burnt Balls, Anthony’s Bee Bottom Car Park, Great Stubby Hat and Little Stubby Hat. As well as ponies, there are also cattle, pigs, donkeys and sheep living there. 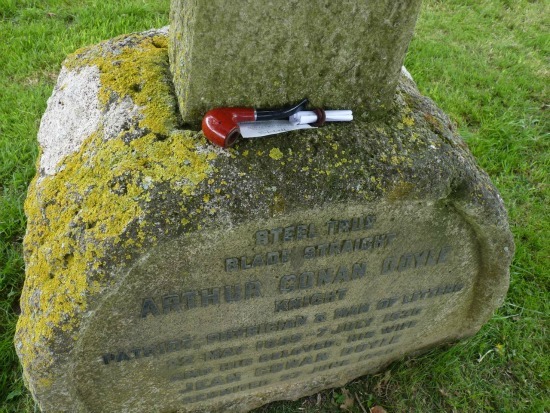 Florence Nightingale, the founder of modern nursing, is buried in the area, as well as Sherlock Holmes creator Arthur Conan Doyle. There are plenty of bikes to hire for cycling around the New Forest but for something a bit different, why not try archery? As the River Beaulieu runs through the area, you can canoe and kayak too. If you’re into horses, try a riding experience through the forest. You’ll feel like a real cowboy and might get to ride alongside the wild ponies as they roam. If it’s museums you’re interested in, The New Forest Museum will teach you all about the forest and its history, while The National Motor Museum currently has a display of the motors used in the James Bond film series. Right in the heart of the New Forest stands the beautiful Furzey Gardens, a picturesque area with woodland walks, beautiful trees and shrubs and views over the Isle of Wight. 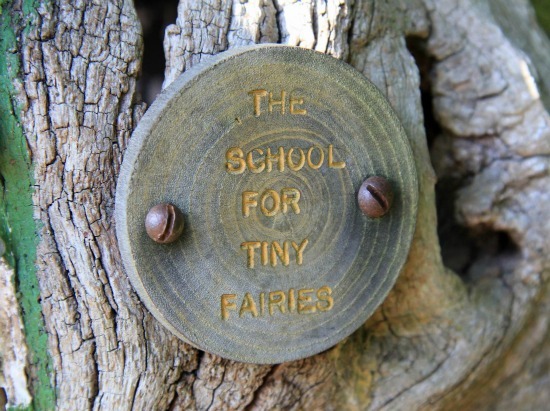 It has a play area and treehouses to explore, as well as a series of little tiny carved fairy doors – you need to look hard to spot them all! If you fancy heading over down to Hampshire, make the most of this brilliant offer: we’ve got two nights in a New Forest hotel for just £87. If the New Forest in Hampshire interests you, why not check out our experiences for nature lovers and for those with a passion for the outdoors. 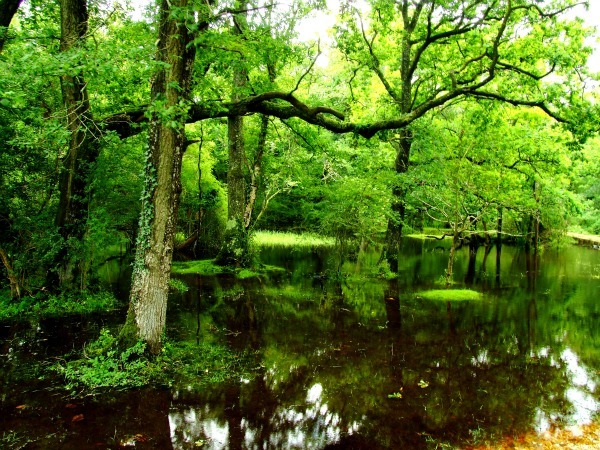 Have you ever been to the New Forest? Images from Nitin Pai, Kinesthesis, Chris_Parfitt, Taffy van Doom and Karen Roe via Flickr. I've been browsing your blog for a while now and I do find some parts interesting (unusual wedding gifts made me howl with laughter!) but I can't help say that some posts are a bit boring. May I suggest a change up with your blog and include some more funny and personal posts? I feel thats what would interest avid readers. Thanks so much for your feedback. We love hearing from our blog readers about what everyone enjoys reading most (Unusual Wedding Gifts was also a favourite of ours!). We constantly review future stories and proposed content for our blog and as such, we happily take on board your constructive comments so thanks once again. And do keep on reading :-).